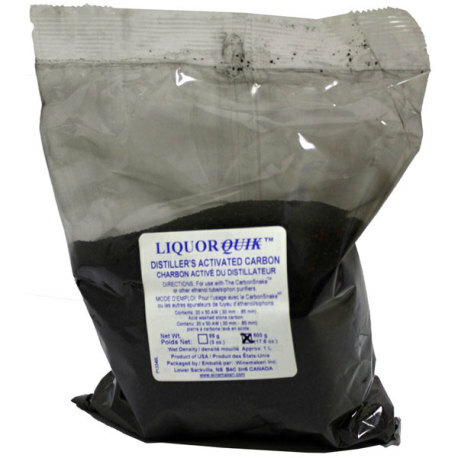 500 grams of distiller's activated carbon from Liquor Quick! This is a 500 gram carbon refill for use with the CarbonSnake, CarbonCobra, or other tube/siphon carbon purifiers. However, it can be used in any application that calls for activated distiller's carbon. It is made of pure acid washed stone carbon. If you need a 500 gram refill of activated carbon, this is the product for you!